AN INTERESTING and important paperback hit the newsstands a couple of months ago. 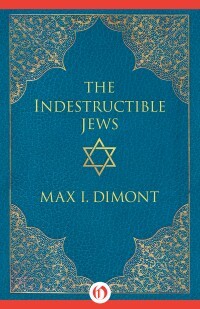 It is the New American Library (Signet) edition of Max Dimont’s 1971 book, The Indestructible Jews. A quick skim of the book will convince the average reader that it is 482 pages of stark, raving madness. And it is 482 pages of stark, raving madness! 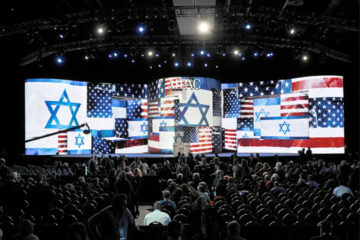 But it is a revealing sort of madness that is well worth a careful, sober scrutiny by every American patriot (and by patriots of all lands) concerned about the menace of Zionism. Max Dimont is no closet Zionist. In his book he lets it all hang out. He boldly announces to the world what all Zionists believe but most are too discreet to admit, namely, that the Jews are a master race, a people chosen by their tribal deity Yahweh to have dominion over the earth and all the people therein. The Indestructible Jews contains so much bombast and chest-beating, braggadocio so extreme and ludicrous, that it simply takes one’s breath away — especially if one is not familiar with the Zionist mentality. To Dimont the Jews are the creators of all culture, the upholders of all human decency and morality, the innovators of all concepts of justice, the doers of all great feats, the thinkers of all profound thoughts, the bearers of all human nobility. 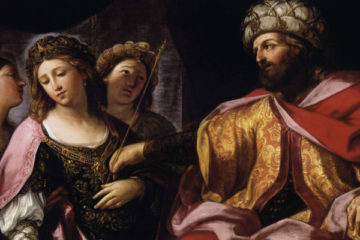 Zeus “spent most of his time spawning a succession of bastards with other men’s wives” (here Dimont must have forgotten his claim that Zeus was really a Jew). Next to bragging, gloating over their enemies’ misfortunes seems to be the favorite Zionist pastime. Dimont recounts the persecutions the Jews faced in Gothic Spain during the 7th century. The Jewish response was to betray the Goths to the Moors by serving as spies and treacherously opening the city gates to the invading armies. 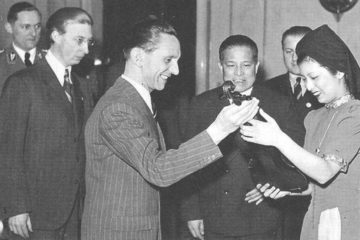 Dimont’s gloating turns to foaming hatred when he comes to the modern Germans. No distortion of history is too gross or obscene for him to use in his condemnation of Germany for opposing the Jews. Thus, all Dimont’s anti-German vituperations, all his hatred, are based solely on the German rejection of the Jew, on the Germans’ insistence on finding their own destiny without Jewish “guidance.” Were it not for this rejection, Dimont hints, the Jews would have gladly helped Germany enslave the world and achieve all the other atrocious ambitions with which an overheated Jewish imagination has credited her. This attitude, that Jewish interests alone must be the determinants of Jewish policy, is basic to Zionism. It has been expressed in many forms by other Zionist writers. Rabbi Meir Kahane who founded the Jewish Defense League in 1968: The group later became listed as a terrorist group by the FBI due to Kahane’s plans for the manufacture of explosives in 1971 and the group’s subsequent targeting of Arab activists and involvement in numerous bombings and shootings in the United States, including the fire-bombing of a U.S.-Soviet cultural exchange agency in 1972. 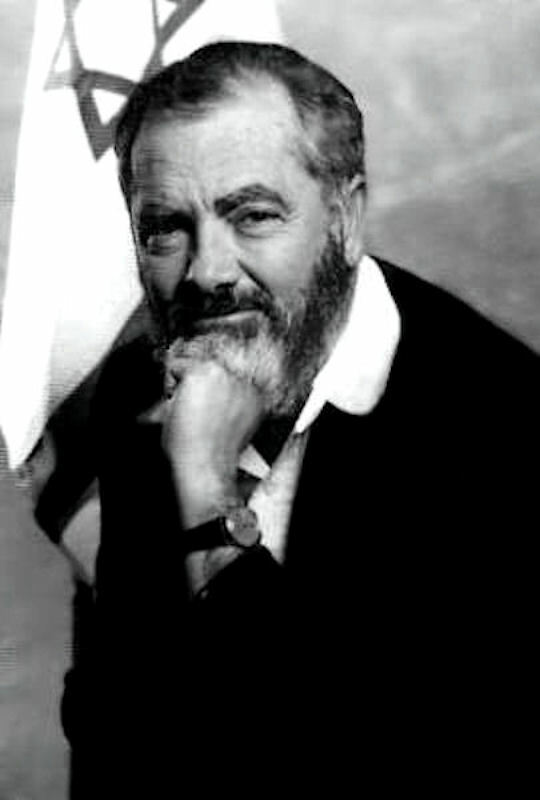 Rabbi Meir Kahane, for example, who heads the Jewish Defense League, stated in the April 20, 1973, issue of The Jewish Press: “Jewish interests are the only standards for Jews, and these call for support of almost any politician who supports us.” Kahane then went on to say that no Jew, whether residing in the United States or the Soviet Union, must let any consideration other than Jewish interests influence his political decisions; that the Jew owes no loyalty to anyone but his fellow Jews; that everyone hates Jews and wants to kill them; that Jews must consequently work to keep their enemies (in this case, Russians and Americans) from ganging up on them; etc. Now, one could always read as much megalomaniacal, paranoid ranting of this sort as one could stomach simply by turning to the semi-secret underworld of the Zionist press, i.e., those books and periodicals written by Jews strictly for Jewish consumption. A good example is the influential New York Zionist weekly tabloid just cited: The Jewish Press. Although anyone with a dime can buy The Jewish Press — if he knows where to look for it — virtually no Gentiles do. If one accidentally runs across a discarded copy on a New York subway train, he will pass it off as being the journal of some nutty little Jewish religious sect. Certainly it can have no relevance to the sophisticated and worldly Jews one reads about in the newspapers intended for Gentile consumption: Presidential-adviser Jews like Henry Kissinger and Leonard Garment; pacifist Jews like Daniel Ellsberg and Benjamin Spock; U.S. Senator Jews like Abraham Ribicoff and Jacob Javits; filthy-rich Jews like Max Palevsky and Bernie Cornfeld. The Indestructible Jews is the condensation of all the vainglory and venom in a hundred issues of The Jewish Press — right out on the magazine rack at every airport newsstand, along with other paperbacks intended for mass consumption. It has even been given plugs in a number of mass-circulation newspapers. A blurb inside the cover, which describes the subject of the book as “the Jew in his proud and proper role as the bearer of culture and morality,” is from Joseph Pulitzer’s St. Louis Post-Dispatch. The interesting thing about Dimont’s book — or, rather, about its being published as a mass-circulation paperback — is that it pulls two previously separate Jewish worlds together: the exotic world of the nutty, hate-filled, Talmudic Jews like Rabbi Kahane, who read and write The Jewish Press, and the everyday world of the smooth, sophisticated Jews like Henry Kissinger, who wheel and deal and conduct our affairs of state for us. It pulls them together and makes us realize that they are one and the same world: the Jewish world. No book before The Indestructible Jews has made available to Gentiles such a clear picture of the dual nature of this Jewish world. Dimont’s semi-frank exposition of the unique Jewish national existence, partly in Zion and partly in the Diaspora, is fascinating. Basically, he sees the world as a big cattle ranch, in which the Jews are the cowboys and everyone else — the goyim — are the cows (goyim has a double meaning in Hebrew: Gentiles — and cattle, or livestock). The cowboys out among the herds, keeping the cattle out of mischief and seeing that they get enough grass and water, are the Diaspora Jews, while those back at the ranch house, tending to the tackle, making plans for the autumn cattle drive, banking the proceeds from last year’s drive, and taking care of other headquarters matters, are the Zionists. Some cowboys prefer the life out on the open range, and others would rather spend their time in the ranch house, but the two groups of cowboys cooperate in the business of running the ranch. If all the cowboys were to leave the herd and hang around the ranch house all the time, the whole ranching enterprise would quickly go down the drain. Likewise, if there were no one back at the ranch house to hold down the fort. Thus, both the Diaspora and Zion are essential elements in the Zionist scheme of things. The way Dimont describes it, the cowboys really have the cows’ best interest at heart and serve a vital function in operating a progressive ranch and keeping the herd healthy and contented. He really doesn’t believe the cows could survive without the cowboys. Later, however, when he talks about the theory of history and the future prospects for the Jews, a better analogy than the cattle ranch is a dog infested by a colony of fleas. Oswald Spengler laid out his theories on the cyclical nature of civilizations in his two-volume work, The Decline of the West. He states that the “High Cultures” of history are super life-forms that must pass through the more familiar human life cycle of birth-life-death. Dimont’s theory of history is eclectic. From Spengler he adopts the notion of the cyclic nature of civilizations, but he also accepts Toynbee’s view that each new civilization which arises can achieve greater heights by utilizing the accomplishments of past civilizations. The Jews Dimont regards as a unique element in the historical process, a continuous thread leading ever upward through the ages as other civilizations rise and fall. Then, amazingly, he lapses into the nomenclature of parasitology in bringing out the Zionist view of “the Jewish manifest destiny.” He speaks of “host civilizations” and how the Jews have guided and steered each one during its rise, reaped the benefits of its accomplishments, and then moved on to a new host when the old one began faltering, much like a colony of intelligent fleas jumping to a new dog after they have sucked the old one dry. The dogs come and go, but the flea colony always survives, growing fatter and wiser with each new dog it infests. Western civilization is an old, dying dog, and the Jews are once again looking for a healthy puppy. Dimont does not see this dog-hopping process continuing indefinitely, however. He believes the Jews are now about ready to usher in a new act of the human drama. This is some scary stuff, thank you for reminding me, and us, what the Jews really are. Hopefully at the end of this century the world is free of the Jewish menace. How, Mr.Bitterburg? By God’s will? 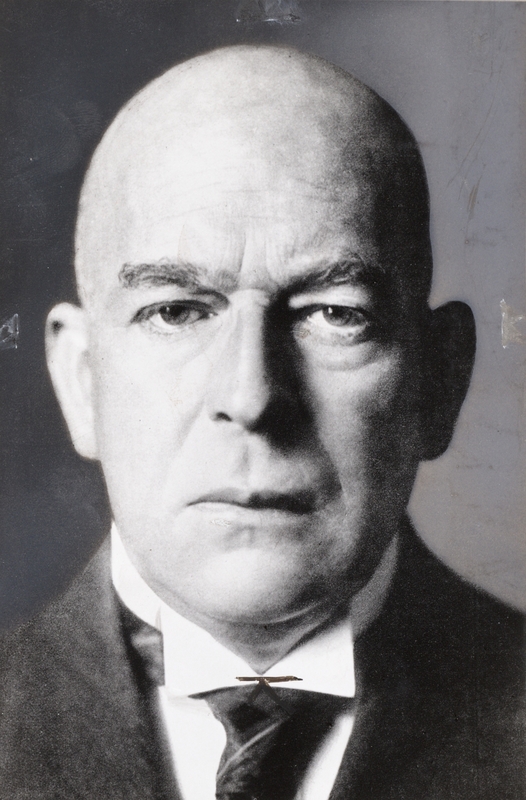 Oswald Spengler laid out his theories on the cyclical nature of civilizations in his two-volume work, The Decline of the West. He states that the "High Cultures" of history are super life-forms that must pass through the more familiar human life cycle of birth-life-death.